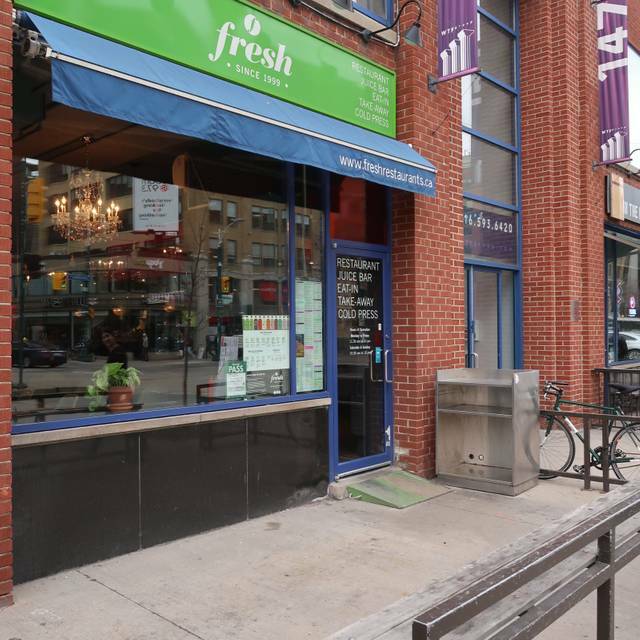 You must make reservations at least 5 minutes in advance of the time at Fresh on Spadina. 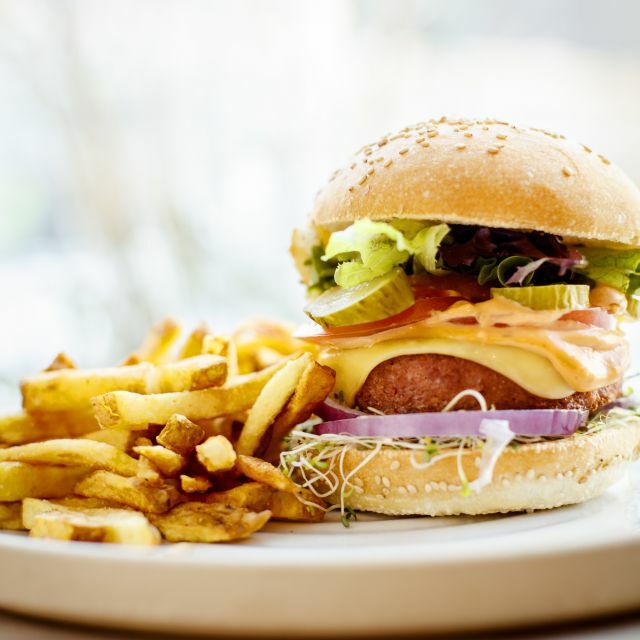 Since 1999, FRESH RESTAURANTS have been challenging the stereotype that vegan or vegetarian food is bland and boring. 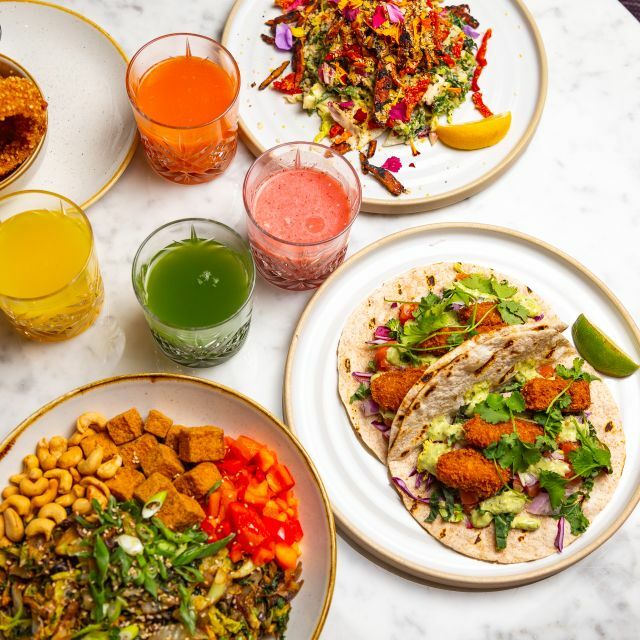 Whether a dedicated vegan, an occasional vegetarian, or altogether new to this---our goal is to offer a unique and satisfying dining experience. This is an amazing place with an excellent menu. In the centre of Toronto, the ambiance is great. I absolutely recommend it. Since arriving in TO, I have come to love and trust the Fresh brand. 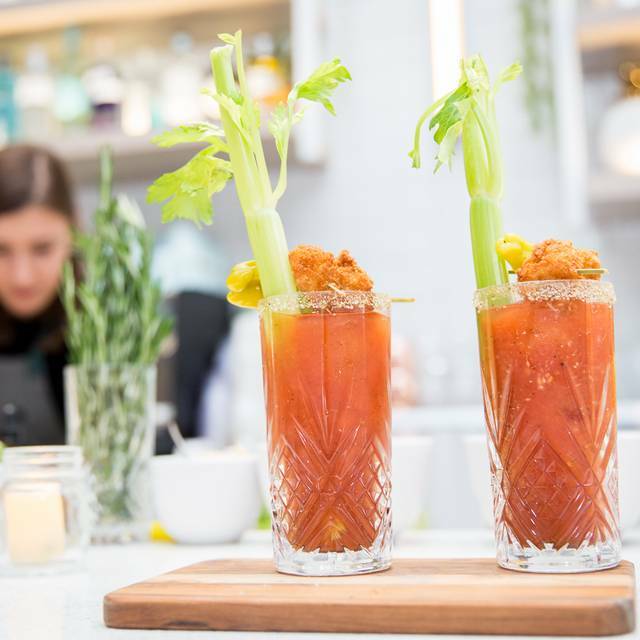 I've visited three of their restaurant venues around the city and throughout the stores, the food, as well as service, is consistently good. It is such a pleasure to eat out and know that my GF vegan needs are catered for easily. And best of all, the food is fantastic👌 Fresh has set the bar high in terms of favourite Canadian foods to try - their green poutine is my firm favourite with regular potatoes or sweet potato fries. Everything was good apart from the duration in which my order was served. It took almost 30 min. By far the best vegetarian restaurant I’ve ever been to - and I’ve been to loads! Lovely staff, amazing venue and fab drinks too. Loved it. Delicious as always. Had to ask 4 times before we were brought water. The prices have increased while the food quality has gone down hill. Service was so slow. We believe our waitress forgot to punch our order in as we only ordered 2 salads and waited an hour for it to come. Other then that the food was great and it’s a lovely spot. This restaurant is my local favourite. A strong menu with a wide variety of options. 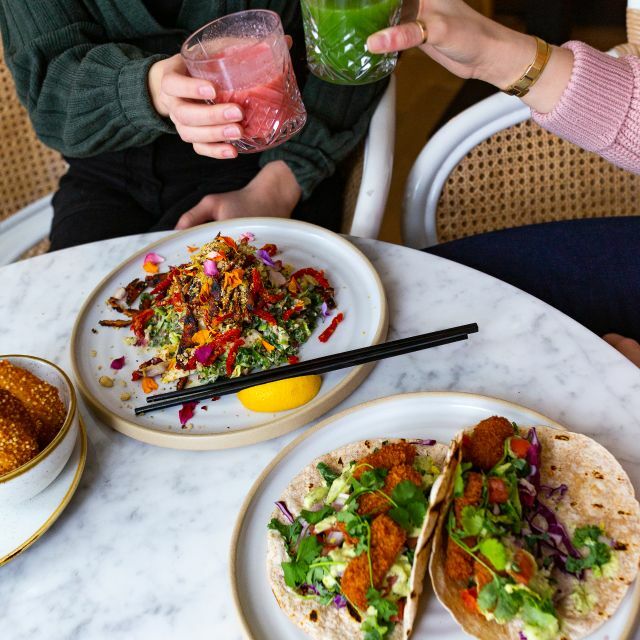 Each meal is high-quality, plant-based food that leaves you feeling great about what you put in your body along and the compassionate choice you made for the animals and the environment. The ambience and interior design feel so classy and lovely as well. Excellent food as always. The washrooms are a bit shabby but that is often the case with downtown restaurant. The new decor with the lighter shades and new seating that Fresh put in in late 2018 is a real refreshing change. Great atmosphere. Servers were friendly. Service was great & and the food was amazing. Food was great, service was not great, waited 30 minutes for drinks and got appetizers before drinks. And another 20 minutes at the end for birthday dessert. Very frustrating, but good atmosphere and the food was great as usual. 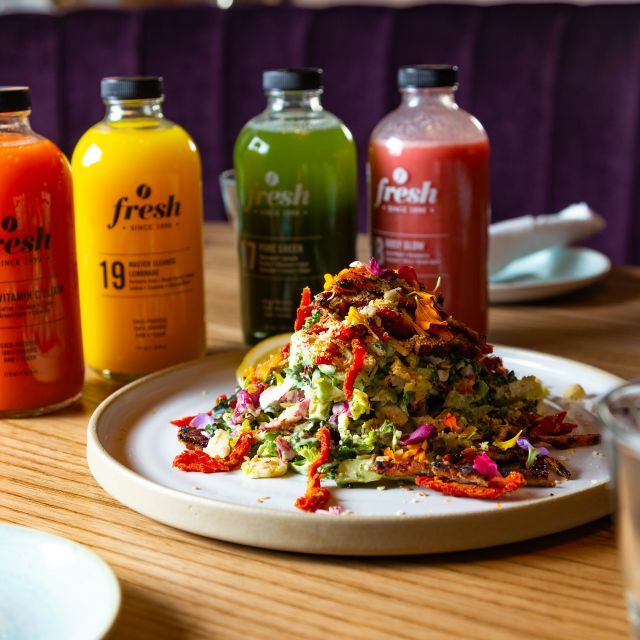 Fresh has done an incredible job at revamping their locations to make for a more comfortable and inviting dining experience. The new decor and layout is so bright and inviting, which to me fits is better with the food they serve. With the renovations they’ve also updated their menu aesthetic from the once placemat like scroll of food options to a more broken out version that isn’t as overwhelming - not to worry they still have an amazing array of choices! The only thing, that is a bit disappointing, is they prioritize Ritual/takeout orders over patrons in the restaurant (or so it seems). The food wait was about 30 minutes over the lunch hour and the service was subpar. Perhaps having a beefed up (pun intended) both kitchen and wait staff this could easily be avoided. Loved the decor, very cozy and comfortable. Ordered the Beyond cheeseburger with sweet potatoes fries, burger was excellent but the fries were a bit soft. Overall service was good but the food came out a little slow. I love coming to Fresh and have been visiting all the locations for years now. My go-to is the soup salad and cornbread combo, which is what I ordered this time as well. I ordered the large size ($15) with a side of tofu ($4). When my order came the tofu was forgotten (no apology), so I asked if I could still get it and had to wait another 5 minutes. I was disappointed when two tiny pieces arrived at the table and I was still expected to pay $4 for these small pieces. Also I have found that the soup sizes at the renovated locations (Fresh and Front) are smaller than the other locations - the bowl of soup (which comes in the large portion) seems like it's the same size as the cup (the small size), but you're paying more. My salad and cornbread were also smaller than the last few visits. I've also had the pancake platter at different locations and can say it is smaller at the Spadina location than others. Overall I will still be coming to Fresh in the future, I just wish that the portions were more reasonable and that this issue was handled differently. Every time I come the portions seem to be getting smaller for the same price. I avoid ordering certain dishes because I know the portion isn't what it once was. Reno looks amazing and spacious! Quinoa onion rings the best! Love that Tori’s Bakeshop goodies are sold there. I have always loved Fresh. The food is fantastic. 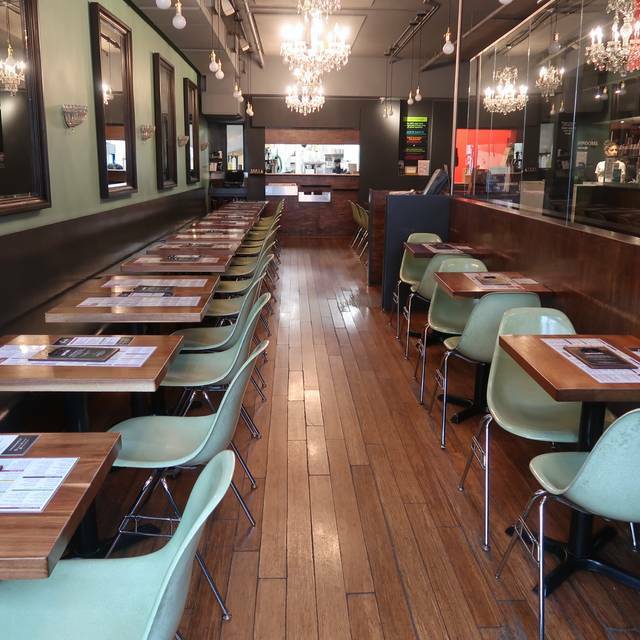 Since the renovation at their Spadina location, the ambience matches. It isn’t noisy, there is plenty of space, great service (very attentive staff) and the decor is very urban chic. Would definitely recommend. Nice atmosphere, great attentive service, and very tasty food. 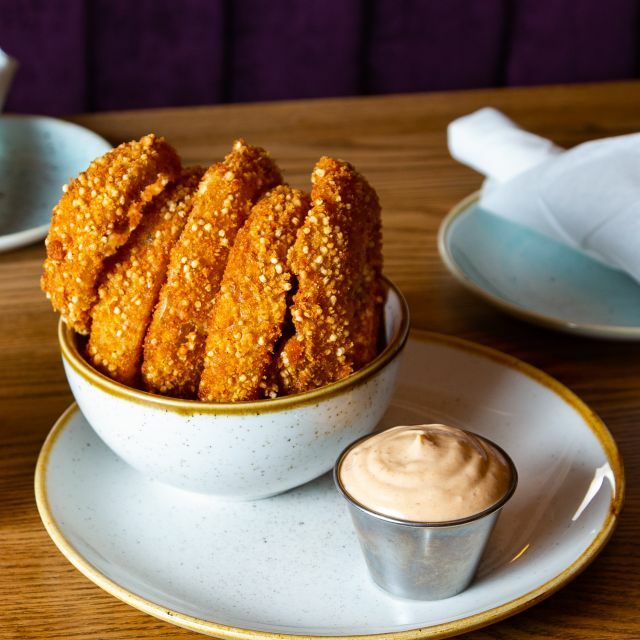 1st time visit and had the quinoa crusted onion rings shared app (the best!) and enjoyed the cauliflower taco for lunch. Will come back to try some other things on their menu. Love the new decor in this remodeled space! Food was great, service was very good, and not as loud as it can be in there likely because we were dining relatively early. All in all a great experience! Please bring back the chocolate mint cheesecake!!! The food is fabulous and the servers are warm and welcoming. I really dislike the loud music. Food was absolutely delicious, even for a non vegan. Reservations were honoured and had a nice table near the front. Service was 3/5. Wait staff clearly had too many tables to look after and we got our drinks well into our meal, despite ordering them first. Overall though would return. Definitely one of my favourite restaurants ever. Love the new look too! Everything is amazing; food, service, etc. Delicious, but definitely overpriced. For 5 of us, it came to $170 for lunch (no alcoholic beverages). Our server was friendly and responsive. I love the new design at this location on Spadina. The food is pricey so it definitely is a special treat but so healthy and delicious. Great food and lots of menu choices. Service exceptional and decor very nice. Tables are too crowded together and it can be tough to hear people at your own table because of this. 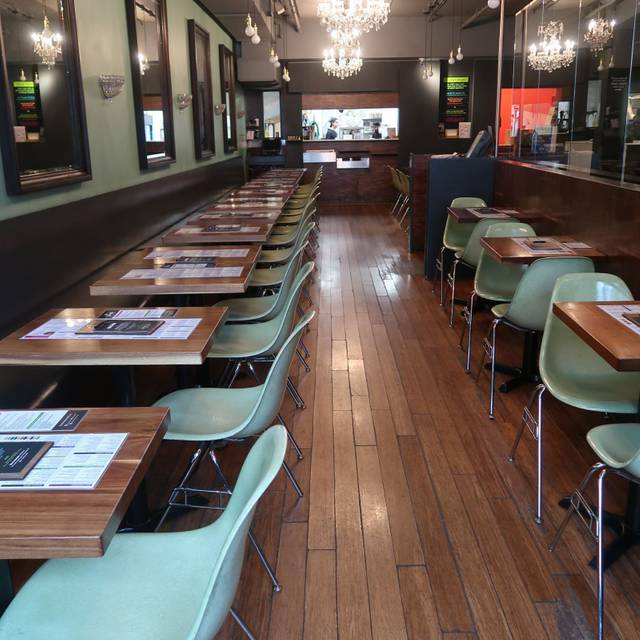 The food was great, the atmosphere was awesome, and the service was good. Prices a bit high, but overall a very good experience. Love the vibe, the servers and the food. I'd recommend this place to friends! Delicious food and awesome atmosphere. Was served quickly and portion was great size. Filled me up! I go to Fresh regularly and I've been to nearly every location. I've now been to Front and Spadina since the renovations and as much as I love the new look, I have noticed that the portion sizes at these locations have shrunk for certain dishes. For instance, a cup of soup (the 'small') at Crawford or Bloor's Fresh is the size of the bowl (large) soup at Front and Spadina. If I'm paying 8 dollars for a soup I would like it to be a good size. Their pancakes and salads are also smaller for the same price, which is frustrating. However, the food is as tasty as ever, and the employees are always very friendly. Very good meal and service. Noise - not too high, but the tables are too close together. I love the atmosphere and food at Fresh (though, it is a louder restaurant!). However, the food does take quite some time to arrive. Today’s visit was especially slow during the lunch rush. I think there might have been a miscommunication, but it took an hour for a salad and smoothie bowl to arrive. The food was good in the end, though! I LOVE Fresh! Plus with the new reno it's EVEN better! Beautiful atmosphere, exceptional food and great service. It's a vegan lovers dream! BONUS: non-vegans love it too! I’ve been going to Fresh for over a decade - we sometimes visit a few times a week - and I’d say this was probably our only bad experience. Our quinoa onion rings came out in minutes, but were dry and cold. They tasted like they had been made a few hours ago in preparation for a busy evening. We order these every time and they usually come out freshly fried and piping hot and crispy. We’ve been having Beyond burgers at other restaurants, (for about $7.49), so we thought they’d be even tastier prepared at Fresh, (for $18). The burgers took over 30 mins to be served, (we were warned), but were barely warm when they came out. The buns tasted so stale, or perhaps freshly thawed, that they were crumbly and inedible - I took my burger out and ate it with a fork. Very mediocre food for a normally delicious restaurant. Maybe they’re just working out kinks with the newly expanded size, but I definitely won’t be visiting this location again any time soon. We were running late and they met us with kindness and patience! Our server smiled every time! It was Boyfriend’s First time and he loved it! I was with a friend who is vegan and another friend who is not - I wasn’t sure what to expect but it was great! Our server was really friendly and helpful. We enjoyed her buffalo cauliflower and onion rings. The vegan in our group had the beyond burger and the two of us meat eaters had the Buddha bowl. Everything was great and we didn’t miss meat or dairy (in the dipping sauces). I just wish I had one of these near me! Amazing! Had the Beyond burger and couldn’t tell the difference between it and meat.